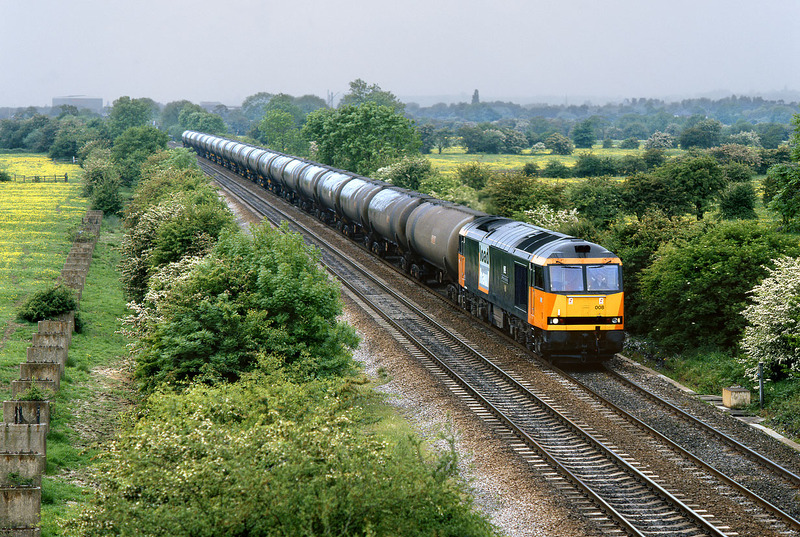 60008 Gypsum Queen II passes Clay Mills (Hargate) on 23 May 1998 with the 6E54 10:37 Kingsbury to Humber oil empties. It had just stopped raining (temporarily! ), and although still very dull, a Loadhaul liveried loco was always worth taking - definitely the best colour scheme of the original three privatised freight operators. The old concrete supports for a former pipeline on the left immediately identify this well known photographic location.